Determining the source of feeling is oftentimes difficult, for the self is unable to separate emotion from inner knowingness. It is the drawing of the self to another that is unexplained – the opening of the self in a way that the self has failed to do previously - the sharing, honest sharing of the self without provocation, without threat – that points to previous lifetime experience. The trust that the self feels for another – trust that has yet to be earned; the love that the self feels for the other – love that has yet had time to grow and blossom. 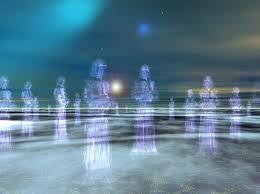 It is awareness that soul families do indeed travel and experience together. Within the soul family there are those who are loved and beloved and there are those that are hated, dreaded, feared; each teach equally. It is important for the self to examine the feelings that come forth for another to determine if there is reason for such depth of emotion or if it is due to past life affiliation. To recognize that each lifetime provides opportunity to integrate the lessons of the past, to embrace those that were previously dreaded, so that future lifetime experience can draw forth the fruits of the loved, beloved experience for the relationship. The student that walks the path to healing begins to travel with the consciousnesses that affinity is found within the spiritual arena, for in order to progress rapidly the self need be supported by another who understands the self’s goals. One, two, three, four, five, six, seven, eight, nine, ten, twenty, thirty, forty – as many as possible are planned to come into the life to share for an hour, a day, a week, a month, a year, five years, ten years, twenty years, fifty years – each consciousness chosen purposefully, to bring to the self the experience that is most needed. This intervention of another consciousness is often referred to as a preincarnative agreement. Agreement has been reached between the Teacher and the consciousness that service will be provided to the self in the lifetime; this service could bring darkness or love - that which is recognized as darkness, that which is recognized as love – for in truth, both are love. The soul family shifts and reduces slowly, lifetime after lifetime, as the self seeks to bring forth – to surround the self in fact, with those who are walking similar path, for in this way, the likelihood of one awakening and then impacting the other is increased dramatically. It is important when surveying those about the self that have assisted the self greatly – either through difficult experience or that which has opened the eyes of the self - it is most important for the self to recognize that the inner Teacher has drawn this individual into your sphere purposefully. It may or may not have been in response to preincarnative agreement; suffice it to say that many agreements are made that are not kept, as the consciousness chooses not to provide the service that was agreed upon due to their own lesson failure or due to their own lesson integration. One who has agreed to play the dark role and has learned the lessons in lifetimes following the time when the agreement was reached, oftentimes is unable to provide this service and the inner Teacher must find another who would be willing to provide the experience most needed by the self. We shall return to the topic of the bodies joining with the new self in infancy. It is to understand that the infant is here once again to continue the journey forth, until the path to healing has once again been met. The parents are often damaged, have yet to meet with their own path, prior to hosting the arrival of a consciousness that has garnered the burden of many failures in previous lifetimes. The consciousness has chosen the parents that will draw forth the lessons that need most be learned, that are most desired to be addressed in the lifetime. As it is unknown how the parent will choose to present the self once the consciousness arrives, it is to observe the lesson plans, to observe the consciousness and its method of dealing with lesson for many months prior to birth of the new consciousness – this is the role of the Teacher, for it is the Teacher’s responsibility to choose those who shall host the consciousness in the first portion of the lifetime. To understand that the Teacher provides the consciousness with the best possible choice, utilizing those consciousnesses that comprise what is known as the soul family - those consciousnesses that have had contact with the self in previous lifetime where karma quite likely has been accumulated. The lessons that are brought forth to the young consciousness are often those that have yet to be resolved by the parents – those that potentially have been suffered at the hands of the consciousness now resident in the body of the infant. It is important to note that the young are those that are protected within the 4th kingdom; they are often the victim and known to be weak in the 3rd. It is the Teacher that draws forth that which is needed most to be learned by the consciousness early in the lifetime; these lessons are often brought forth through the parent. If the consciousness has been abusive in previous lifetime, the consciousness will encounter abuse early in the lifetime; therefore, choice is provided once again - to choose to abuse another once again or to learn that abuse of another or the self is never appropriate.